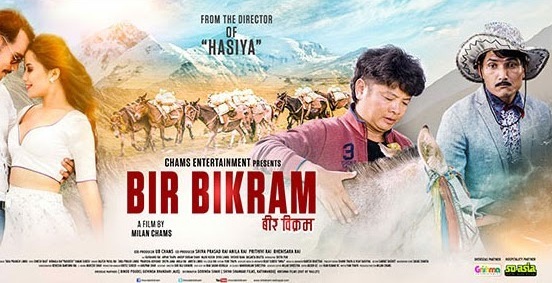 BIR BIKRAM (2016/2073) is the Nepali movie made under the banner of Chams Entertainment Pvt.Ltd. The movie starrs Dayahang Rai, Arpan Thapa, Anup Bikram Shahi and Diya Pun in the lead role. The movie is based on the triangular love between Dayahang Rai, Anup Bikram Shahi and Diya Pun. Bir Bikram is schedule to release on Bhadra 3, 2073 (i.e on 19th August, 2016). 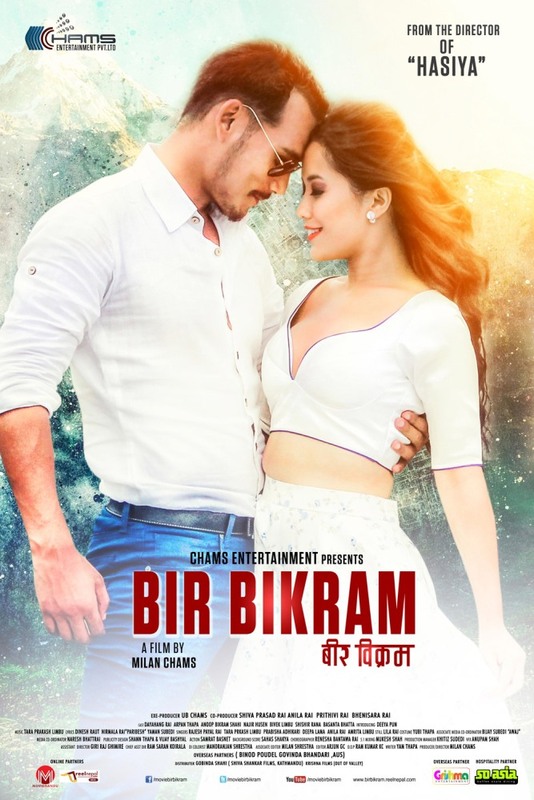 Chams Entertainment Pvt.Ltd presents, a film by Milan Chams, Nepali movie Bir Bikram. The movie cast Dayahang Rai, Arpan Thapa, Anup Bikram Shahi, Diya Pun. It is scheduled to release on Bhadra 03, 2016.